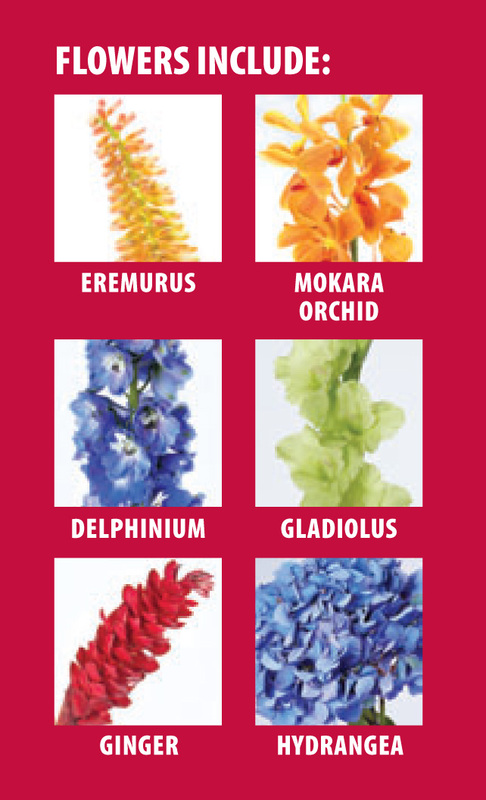 Incarnation of Earth's Element wedding trend includes classic wedding bouquets that delight the Incarnation of earth’s element bride. 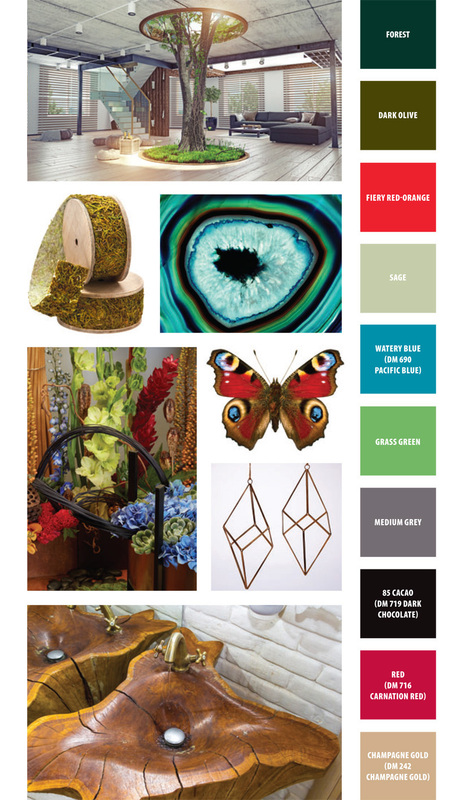 The trend has a modern edge as it leans toward browns, greens, and whites. These bouquets use a variety of textured foliages to showcase an appreciation of nature. This freeform bouquet uses ‘Patience’ roses from David Austin Roses, white peonies, and an array of textural fillers and foliages. 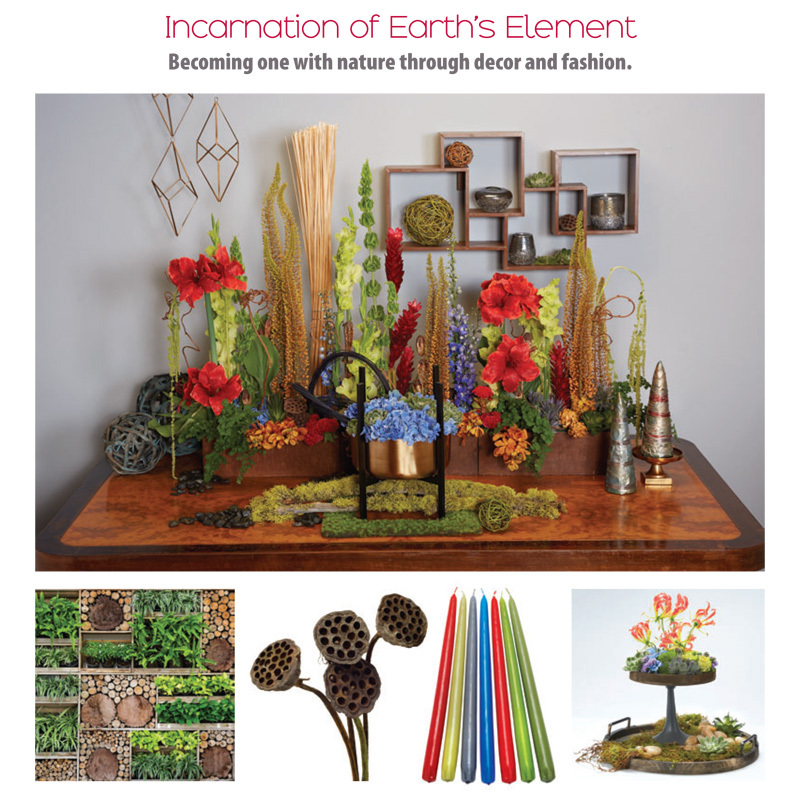 A modern twist on the fundamentals of life are revealed in the Incarnation of Earth’s Element trend. Accent Décor provides vessels that offer contrast between natural and modern. Creating juxtapositions is a key to the look and Accent Décor’s broad line of high quality vessels makes finding the right elements for Incarnation of Earth’s Element possible. Incarnation of Earth Elements pops with the juxtaposition of the natural and not so natural. 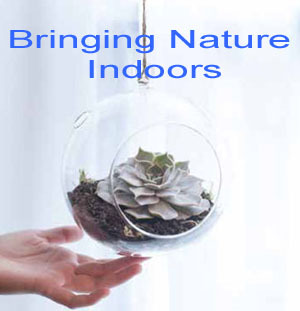 This trend redefines nature by using natural elements in unnatural ways. Here Styrofoam cones from FloraCraft and covered with natural galax leaves then painted in metallic colors to create the contrast between natural and unnatural. The look combines natural and ecological elements with modern lines and edgy accents. Incarnation of Earth’s Element is a picturesque combination of bright greens, earthy oranges, and fiery reds clustered together amongst textured foliages and pods brilliantly exemplify the calming spirit of this natural design. 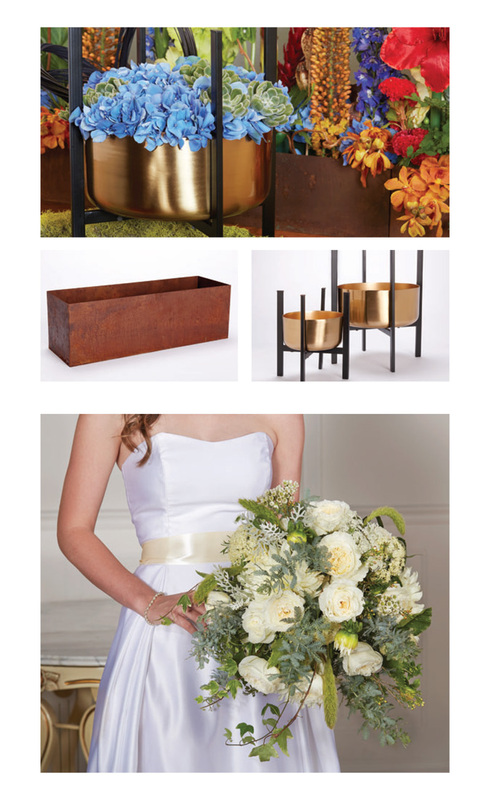 Create the juxtaposition of modern against natural with vessels and flowers from your IFD Distributors. The look incorporates the modern side of nature and lets you put a new twist on a chic and minimalist style. Incarnation of earth’s element redefines the common conception of nature. Its modern twist on the fundamentals of life reveals an undeniably chic and minimalist style. Incarnation of earth’s element astonishes with punches of forest green and earth brown. 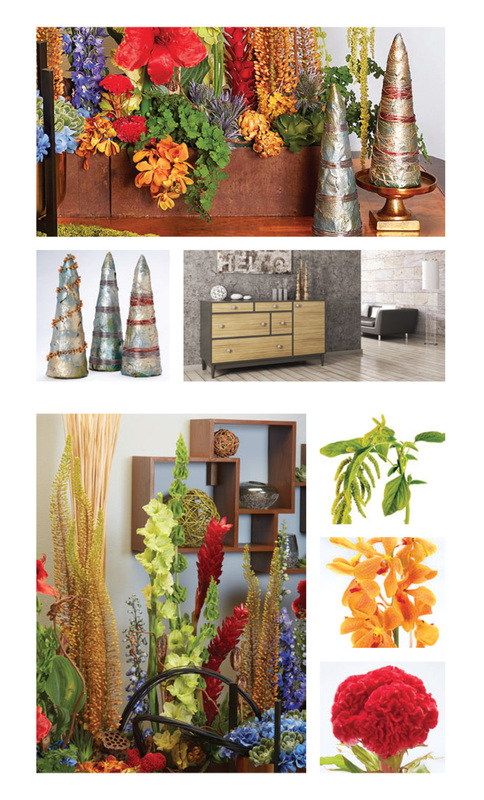 Presenting this trend with a remarkably unique edge, sleek, rustic metal vessels house columns of blue delphiniums, gladioli, and eremuri along with fiery red celosias and amaryllises. Geometric formations of organic cones and balls juxtapose with vivid bundles of ginger and mokara orchids. The look incorporates the modern side of nature where exotic wood sculptures and metal accessories can be combined with earth-toned, organic-shaped bottles and glass vases.